See the "Banned" Jordan 31 before the official unveil. The "Banned" Air Jordan 31 looks to be one of the lead colorways for the latest Air Jordan shoe. 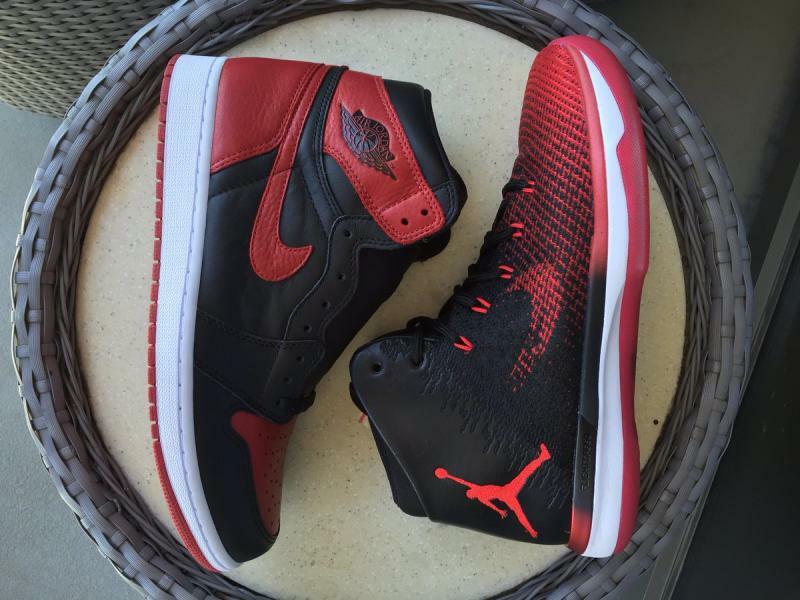 The sneaker references the original "Banned" Jordan 1 with leather pieces on its upper, a Jordan 1 "Wings" logo, and even a "Banned" hit along the sole. The model is said to be releasing on Sep. 3 alongside the latest retro of the "Banned" Jordan 1, which appears next to the upcoming Jordan 31 below. Jordan Brand is set to officially unveil the Air Jordan 31 on Wednesday night at an event in Las Vegas. Those not lucky enough to be in town for the proceedings can look forward to a livestream of the Jordan 31 event at 9 p.m. EST.